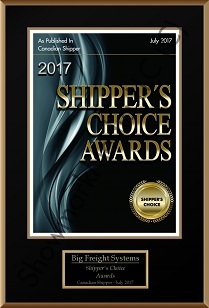 Company Awards - Big Freight Systems Inc.
Big Freight Systems has been recognized with the 2017 Canadian Shippers’ Choice Award! 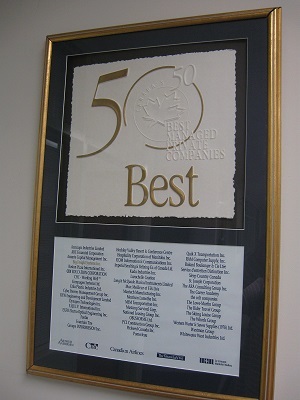 At Big Freight our goals and values have always remained the same “On Time Pick Up and Delivery” with world class customer service from our amazing team of Professional Drivers! Better Drivers Better Service! 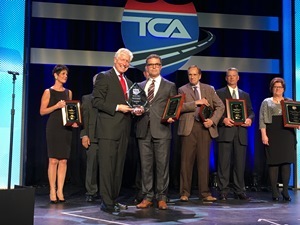 Canadian International Freight Forwarders Association Inc.
Technology & Maintenance Council of the American Trucking Association Inc.